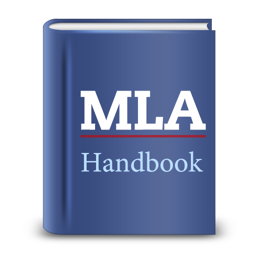 We will be reviewing MLA formatting during class. Please, use the resources available to you which include the information below, the Purdue OWL MLA website, our school librarians, classroom peer reviews, and in class discussions on formatting. Go to http://owl.english.purdue.edu/owl/resource/747/01/ for detailed information pertaining to the MANY different ways to cite sources. Every word in your writing should be Times New Roman, 12 point font. Including the title. The top left heading of your writing should include the following information in this order: Name, Teacher’s Name, Class, Date in this format - day month year [written out]. The top right running header should also be Times New Roman, 12 point font and includes your last name and the page number. The title of your paper is NOT underlined, bolded, or italicized. Simply, Times New Roman, 12 point font, centered on the document. Margins are all 1 inch; however, the running header will be automatically placed .5” from the top of the document. Change “after paragraph” spacing to 0 in the line spacing or paragraph options section of word processing. The entire work should be double-spaced throughout. In the line and page breaks section of word processing, ensure that NONE of the boxes are checked. I HIGHLY suggest downloading the "Paper Format" document in the downloads area and directly writing over the top of the document since all of the changes to settings, font, etc. have been made. Work smarter - not harder. Formatting for the Works Cited page is a little more complex. Font and spacing rules still apply, but each unique source receives its own unique citation.